Another thing though my car has a very poorly fitted aftermarket radio in it, the problem was that the original Australian unit could not pick up on European frequencies so the previous owner replaced it and what makes it worse he didn't keep it but sold it back to Australia. 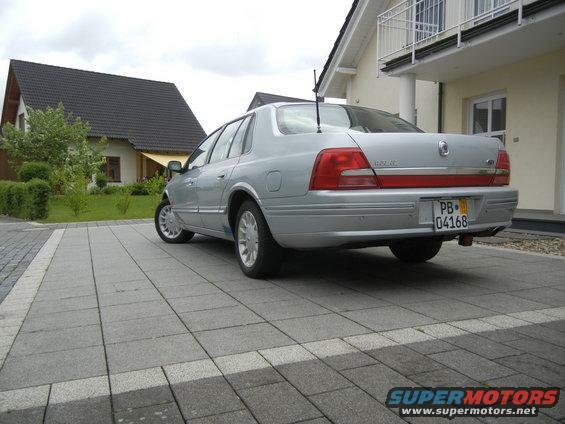 I would like to make the car all original again and need the original radio back for that because if I can prove to German authorities that the car is all original and the only one in this country I might be able to apply for a collector vehicle registration which could save me a lot of tax money on it. Check with the Authorities on the Radio as I doubt they would have an issue with that due to the Frequencies. Worth a shot. I still have the original head unit from my 98 Fairmont Ghia, was in working order when I removed it and I have the security code for it. Let me know if you are interested. So long as yours has or had the CD changer in the boot (being a 99 model it should) it will be compatible. Have a look on my Fairmont thread in my sig below, there is an interior shot with the unit in place. Yes that is a very poorly fitted cd player. It should be fitted to the top row in the double din hole. I suggest getting a pocket to fit, they sell these in australia at automotive stores. It will make it look much more factory fitted. I doubt anyone would know any better if it was fitted with one of these. Will double check with the authorities but knowing this country I wouldn't be surprised if they'd turn that down, it must be original they won't care if you can't listen to the radio that's how pigheaded they are here. I checked the pictures your Fairmont interior looks exactly the same as mine. I would be interested if you can ensure me that it will fit right in and work properly, I still have the original 6 CD Magazine in the boot will it connect to that without issues? What sort of a price range would I be looking at, I'm guessing overseas shipping for it won't be cheap either? I was thinking of perhaps hiding the aftermarket radio somewhere else when I get the original unit back in which won't pick up on local frequencies so could I still listen to the radio and have the original look at the same time. 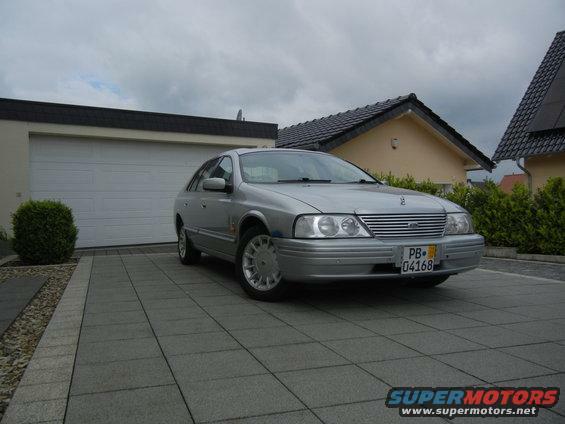 1999 Ford Fairlane AU Ghia 5.0 Litre 302 Windsor V8 4-speed auto, 83ks, Liquid Silver, ex Diplomatic vehicle from UK. 2003 Audi A6 Avant 2.5 Litre Turbodiesel V6 6-speed manual, 160ks, Black Metallic, my reliable daily transportation. You may be able to wire a 3.5mm headphone jack aux cable into the aux port for the CD stacker on the original type head unit, then just use your phone for radio and mp3. I was actually going to go down that route with mine using THIS technique. But I ended up just replacing it instead. I would be interested if you can ensure me that it will fit right in and work properly, I still have the original 6 CD Magazine in the boot will it connect to that without issues? What sort of a price range would I be looking at, I'm guessing overseas shipping for it won't be cheap either? I wouldn't ask for more than A$50 for the unit, it was working when I removed it and so long as the person who fitted the aftermarket one to yours hasn't made a mess of the wiring you should be ok. If it has been chopped up I may be able to source an S1 wiring plug with some of the wiring still attached to help you out. I'll need your address (via PM) to work out postage. Wiring an aux cable in would be great but living in a rural area I wouldn't be able to use it for radio very bad reception here. I don't know what they go for in Australia but it really depends on how much postage is I don't want to pay more then a $100 for the radio shipped because there is so much more stuff I need to get for the car. Recently my battery has died, I charged it up and it died again a week later so I guess this thing is toast and I'll be needing a new one. What would you recommend to put into it? I think I should be a looking at something a bit more powerful than what my Audis run? so cool to see a good condition v8 fairlane in Germany, pity about all the rust but thats caused from all the salt on the roads during winter so my dad said. Could be wrong but great car look forward to seeing what u do with he beast. Thank you, yes it's a big shame about the rust does come from the salt and constantly wet weather they are getting in England every now and then. It's not so much of a problem over here so I'm hoping it won't rust even further but I certainly need to do something about it. its a shame but being Germany you guys must have access to some top places to fix that if it got to bad. I haven't been on here for a while but those who roam the Fairlane and AU Falcon groups on Facebook might have seen my progress on the car. For those who haven't, I will quickly try to sum it up. German authorities have declined local registration due to the reasons already stated some posts above, wrongly alligned headlights, excessive rot on bodywork and lack of paperwork to support the cars history. However since the car still had a British title I managed to find a way of working around that issue by taking a huge detour, I drove it back to Britain on a temporary permit where a good friend of mine lives who was prepared to help me with the project. We reactivated the British registration which was expired over two years ago and transfered it into my friends name but the British authorities were also not happy with the condition of the car, their road safety inspection is nowhere near as strict as the German one is so they still gave us a pass but attached a long list of advisory fixtures that we are having to sort out soon. Our first point on the list was the exhaust, it was all rotted and had a big hole in it just after the cat so it sounded terriffic but of course is totally illegal. We were considering a weld job but there was just too much rust to do that so we could only throw it away. However finding a replacement was a lot easier then thought, after having the car checked out by a local Ford expert it turned out that it uses the same exhaust system as the European Ford Granada, who would have thought? 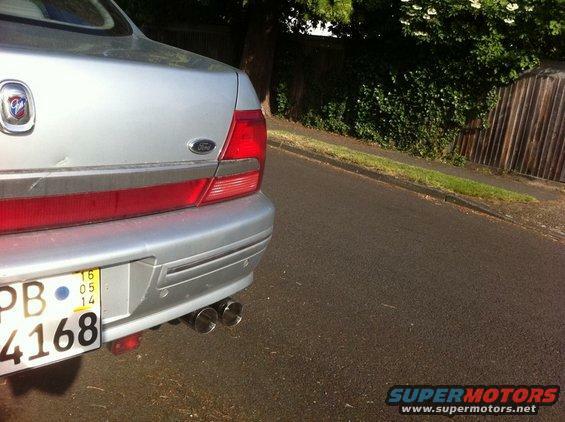 Ordered a Granada exhaust and fitted perfectly with the only difference that it has a twin exit. There are more rust issues with the car that we are sorting but the exhaust was the main problem so I'm glad we were able to sort that so easily. The next problem is the lack of history, the ownership history on the British title only goes back to 2002 when the car was first registered in the UK which for them isn't a problem but the German authorities require a full history back the date of when it was first registered new. We have absolutely no evidence of what happened with the car before it was registered in the UK, not even an import certificate which is rather strange. #1 The car was exported to the UK when it was brand new (brand new unregistered cars don't require an import certificate) and then must have sat for over four years before it was registered on whatever reason which could be possible but seems unlikely, I mean why would somebody import a brand new car and then just let it sit there? #2 This car must have been a diplomatic vehicle from a foreign embassy because diplomatic registrations will not show up on any vehicle title due to them being "above the law". We think that my car was imported to the UK when it was brand new to be used by the Australian or New Zealandic embassy. After being phased out from diplomatic use they just sold it on to the general public and that's when it got its official UK registration, the dates of that match perfectly with the introduction of the BA series Fairlane so perhaps they wanted an upgrade. We are now trying to get this confirmed so that we have a complete evidence of its history. Oh yeah this thing will be a huge money pit I'm considering a budget of $8k to get it where I want it to be but of course this project won't be done in a year, took me over 6 months just to get to where I am now because authorities in Europe are so slow and part orders from Australia take a long time to be delivered. Also don't forget this car is absolutely unique here, there is nobody with any knowledge, I have to look everything up online which is rather difficult. 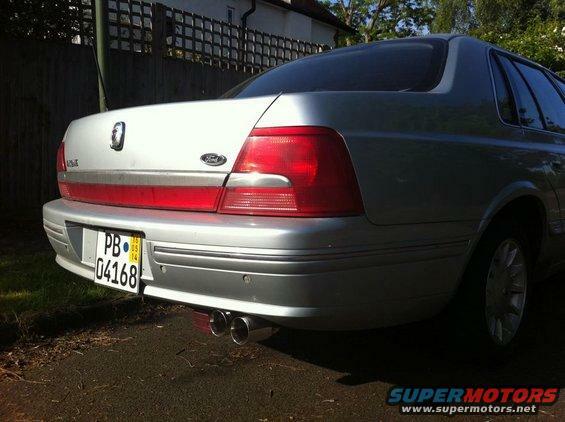 We have established that some parts will transfer across from the European Ford Granada and Scorpio which makes live a little bit easier but many parts will still have to come from Australia and postage is ridiculously expensive down there. By the way, thanks for your parts offer, I have most stuff sorted and on the way that I need for now but I will come back to that if I need any more. You said you're a German also, mind me asking whereabouts you are originally from?